“My son hides in fear when he hears us say 'hospital.' We lie to him that we are going to a park and at the entrance of the hospital, he manages to slip from our hold and runs away. But his weakness won’t let him even walk five steps. 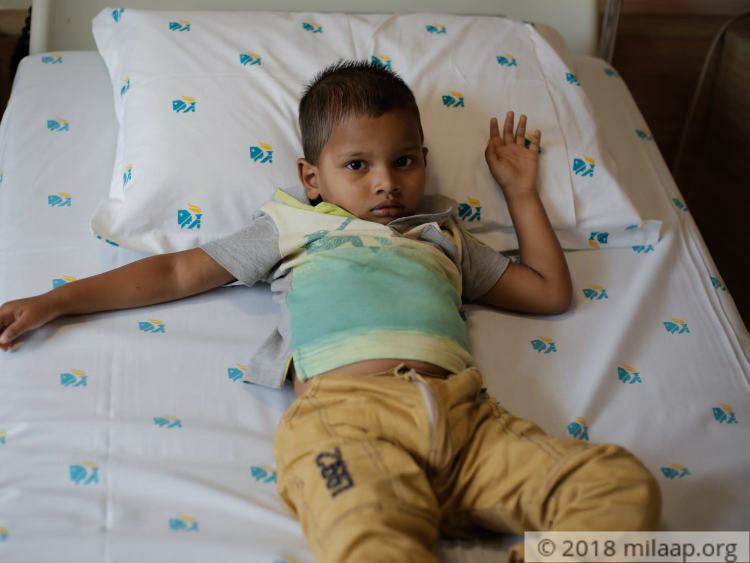 My son weeps until he exhausts the little energy left in him and all I can do is carry him into the hospital with a heavy heart for a treatment that can help him survive.” - Enosh’s mother, Padma. Despite poverty, Padma and Moshe led a happy life and were thrilled when they were blessed with a second child. When Padma just began to embrace motherhood, her 7-month-old son was diagnosed with thalassemia, a severe blood disease. She was shocked to hear the news and suffered seizures. Later, she believed that regular blood transfusion would help her baby live a long life. But her hope did not last long as fate had other plans, a few days ago the child’s liver started to enlarge striking a threat to Enosh’s life. 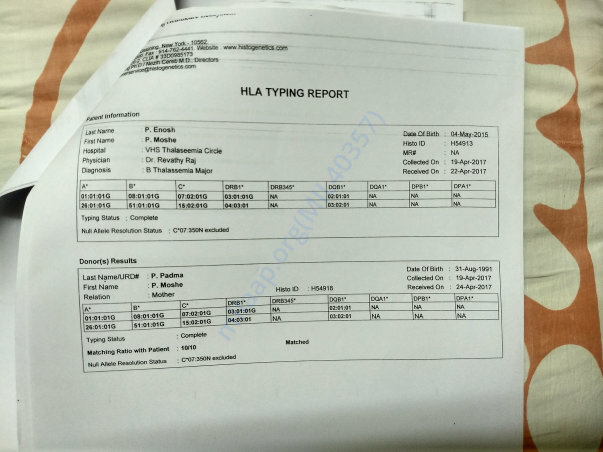 “Every month we traveled to Hyderabad only to transfuse sterilized blood in him. We always made sure that we never missed his treatment. Despite our proper care, he frequently fell sick and suffered dengue. We thought he would be cured in a weeks time. But his fever spiked up to a very high temperature so we immediately rushed him to the hospital. After a few tests, they told us that his liver has increased in size and he has only a few days left to get a surgery." - Padma. 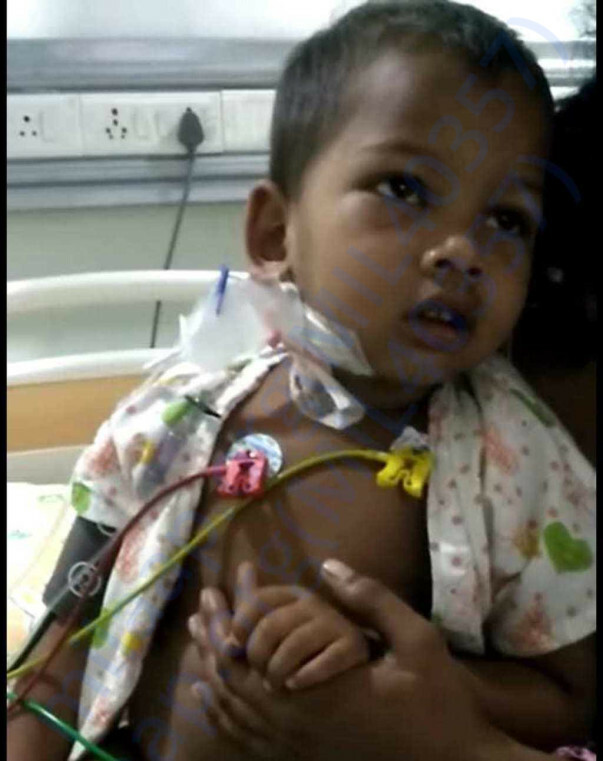 This 3-year-old who was fighting thalassemia major is now in danger with liver enlargement. Enosh needs to undergo bone-marrow-transplant immediately, the delay in the treatment will only make his condition more critical. Enosh has only 2 weeks to undergo this surgery which can save his life. “My kid who loves to play with his favorite ball is now consumed by weakness so much that he is not even able to hold his toy. Sometimes, he lays on the bed without any movement and my heart flinches every time when I tap on his shoulder to see if he can still blink his eyes. I stay under strict medication to not to suffer seizures again, as watching my little son crying out loudly in pain has become unbearable.” - Padma. 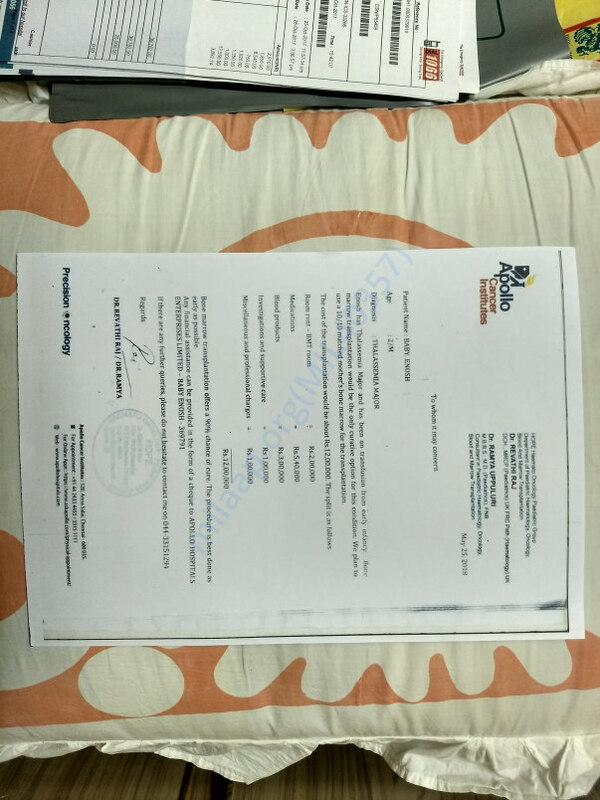 Moshe is the sole breadwinner of the family, he managed to run his house without compromising the treatment for his son with his merger income that he earned as a constable. But the expenses of the treatment has overburdened him. 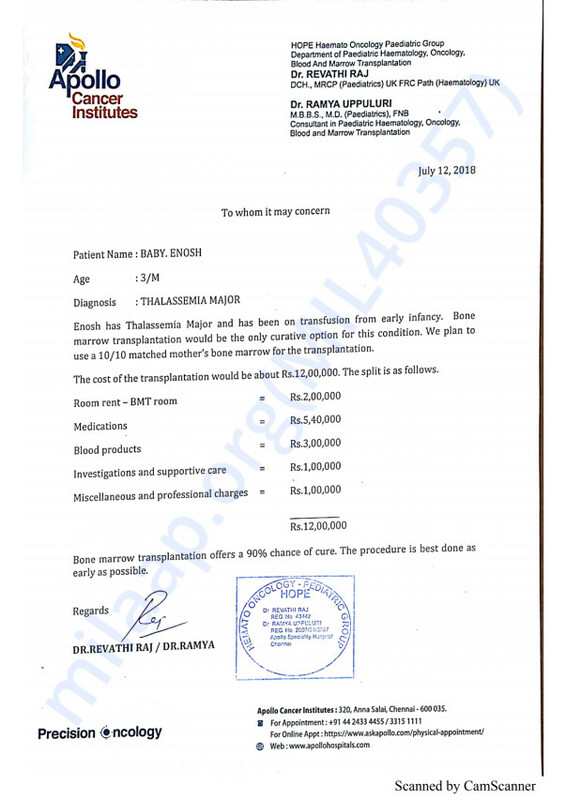 3-year-old Enosh's liver is increasing and he's also suffering from thalassemia major. Without an urgent bone-marrow-transplant, he may never be able to make it. Your help will save Enosh’s life.